The pendant holds a gorgeous blood red faceted stone , which sparkles in the light. 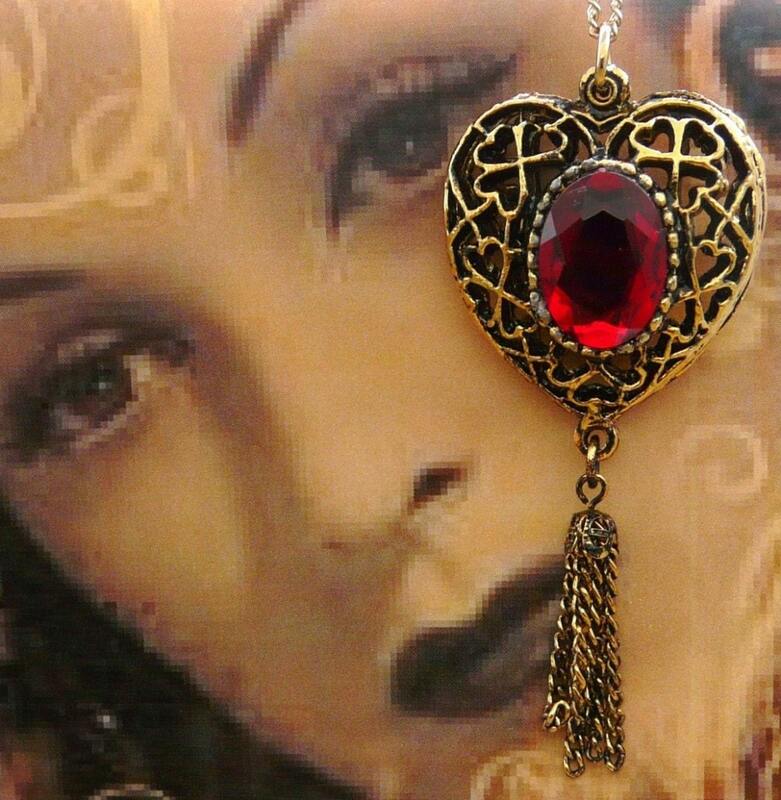 The stone is set in a Victorian Gothic Styled heart pendant. The heart itself is gold plated but has darkened & faded patches on the back. The actual design on the heart is made up of miniature hearts surrounding the oval centre. Some gold pendant tassels of chain fall down from the lowest centre point.